Our family got to spend last week with Dave’s family in New York. Even though Jacob, Timmy and I get to go annually — the boys spend some time up there — I sometimes go up to pick them up from their visits…Dave hadn’t been since 2009. We flew the family up this year, driving to Panama City Beach so we could take advantage of a low-stress Southwest Airlines route to Islip, New York…on Eastern Long Island. This made pick up/drop off easy for Dave’s parents. The boys were wonderful during the travel both to and from New York. 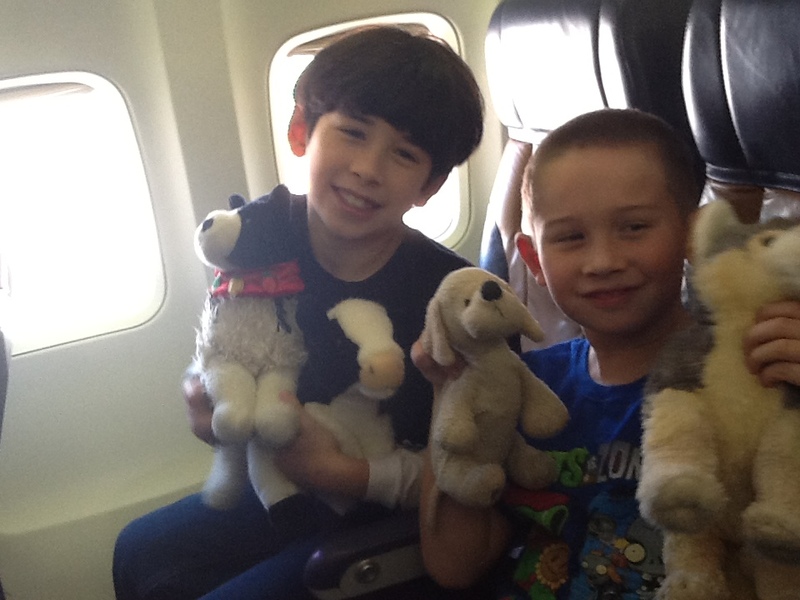 The enjoyed playing with their stuffed animals on the trip up to New York. They were each allowed to bring two. It sounds strange, but they play pretend with their animals very nicely and don’t fight. I’ll take it! 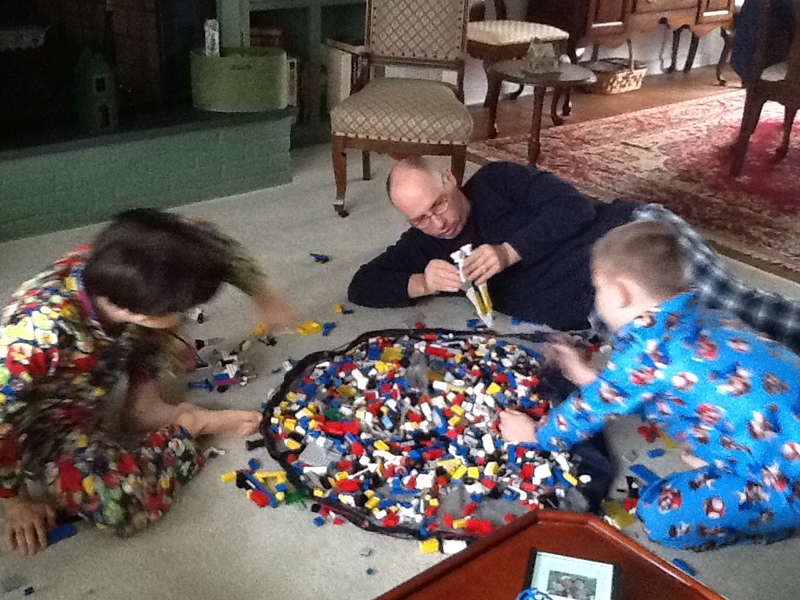 The family spent most of the week relaxing; Dave and the boys played with LEGOs and Lincoln Logs, and the whole family enjoyed going through box after box of photographs from when Dave was younger. It’s a tradition — playing with Daddy’s toys.